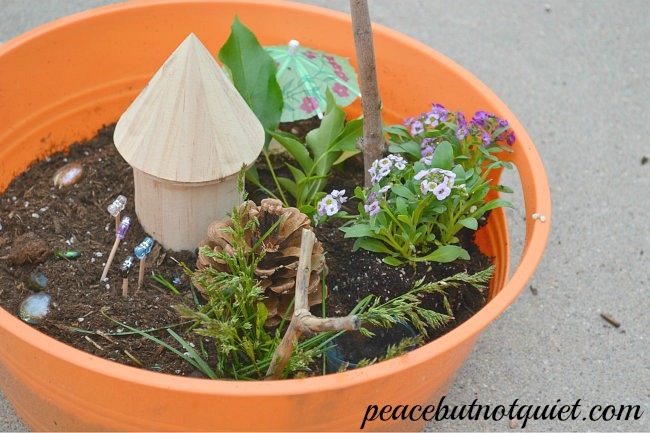 If you’ve seen any of our other early spring and summer posts, you know this: we love our fairy gardens. They get kids outdoors and interested in nature and planting and gardening. They allow for hours of creativity and play. And they don’t require much in terms of money or things — anything you don’t have around the house, you can create with a little bit of imagination. 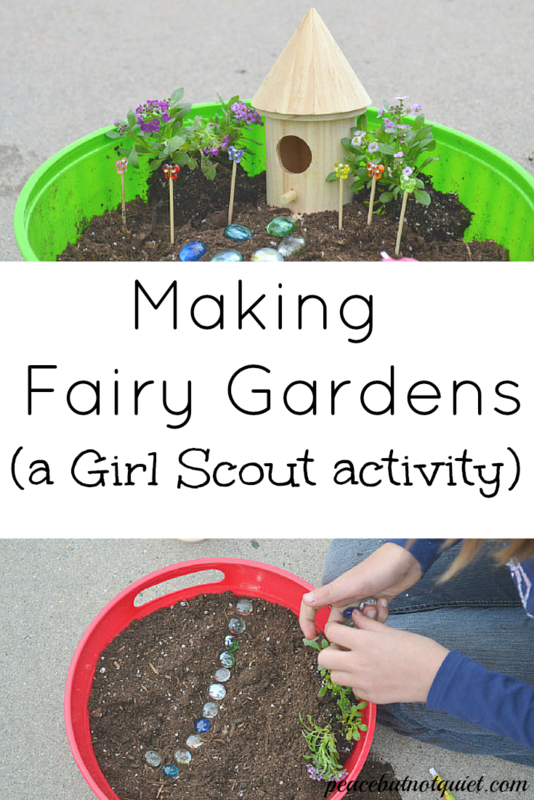 So it was only natural that for our gardening badge in Girl Scouts, we made fairy gardens. 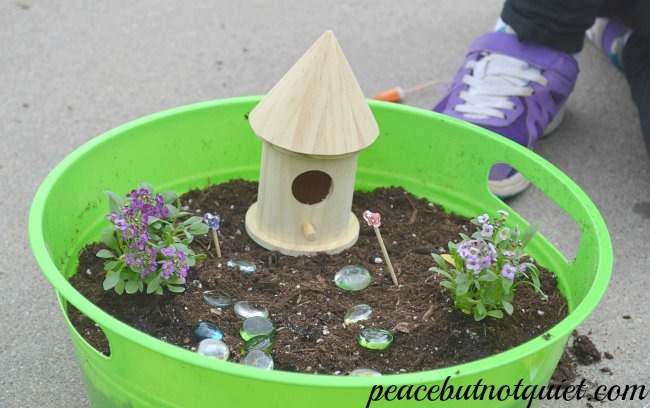 The requirement actually suggested making zen gardens, but I thought the girls (who are Juniors this year), would enjoy fairy gardens much more. And they did. We got our containers from the dollar store, and were able to use one bag of potting soil to fill all nine bowls with dirt. 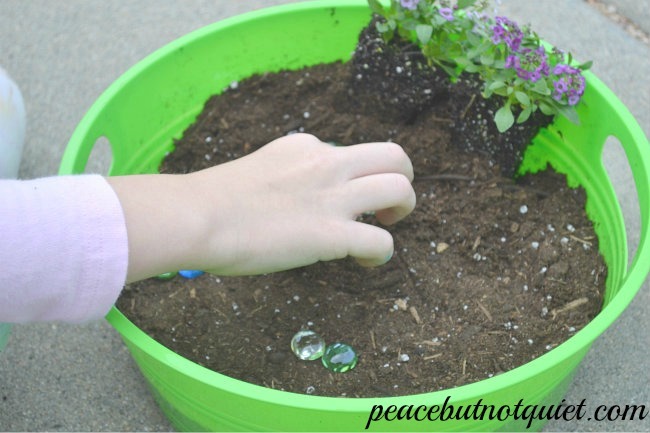 We found the glass rocks at the dollar store as well and bought two bags for the girls to use in their landscaping. The houses were just over a dollar each, from JoAnn’s Fabrics. We didn’t have time to paint them during our meeting, but they can go home and continue decorating and adding to their houses. We bought three six-packs of flowers — enough for each girl to plant two in her garden. The butterflies are from a package of butterfly-shaped beads. The girls stuck the beads on toothpicks and used them to decorate around their yards. We used blue plastic shot glasses (again from the dollar store) for ponds and caves, and drink umbrellas in case the fairies get a little too much sun. My co-leader had a bag of pinecones she brought in to use as well. And the girls found some sticks and other pieces of flowers and plants that they used. My favorite part of this activity was watching as every girl used the same materials — and each made something completely different. You’ll notice there aren’t any actual fairies in the gardens. Frankly, all the ones we found were more than we wanted to spend (when you multiply all your materials by 9 kids, things add up quickly!) so we figured the girls could go home and find one on their own. When I suggested this to them, they looked at me like I was crazy. “You don’t add fairies to a fairy garden! You make the garden, and the fairies decide whether to come visit it.” So. Depending on your philosophy, you can add pretend fairies, or just make a really nice garden and wait to see if the real ones show up. Aside from Girl Scouts — this would be a good activity for a kids’ party. 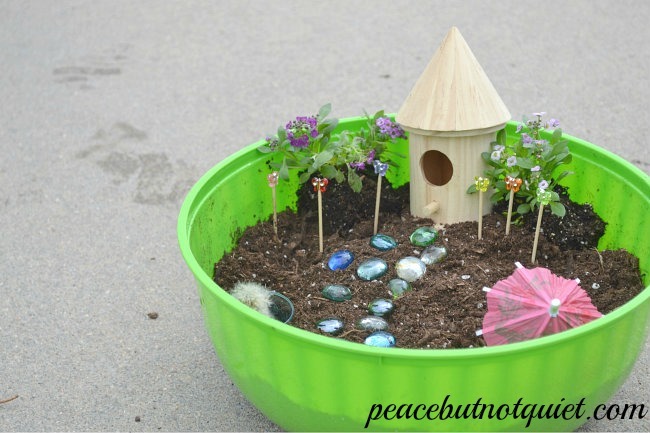 And a fairy garden would make a pretty awesome party favor at the end! than several years of age. My Daisy troop did this last night and they all LOVED it! Great idea, I would have never come up with this on my own. Thank you for sharing, my fairy and dirt loving first graders had a blast! I’m going to a local nursery to make fairy gardens with my troop. 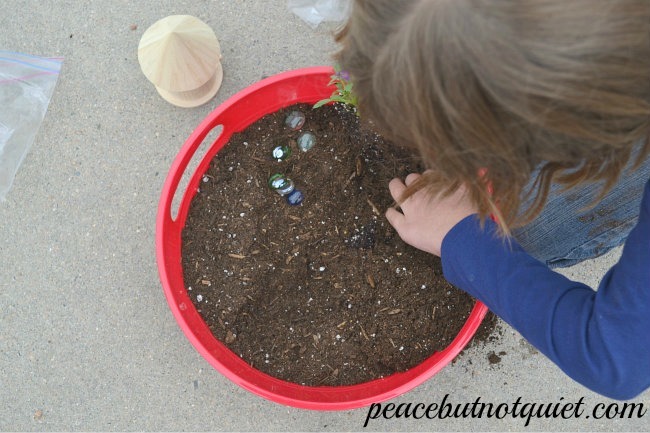 Any ideas as to where to find a fairy gardens or fairy fun patch? oh fun! Well, there is a general gardening fun patch, and I know the Juniors have a gardening badge — this could probably be an activity for that badge as well. I did a google search and found some fairy patches sold by third parties like screen printing and emblem stores — I can’t recommend them because I haven’t used them myself, but if you wanted a fun patch with a fairy on it, you could go that route and make it into your own fun patch! Would this be an easy activity for senior in a retirement community? 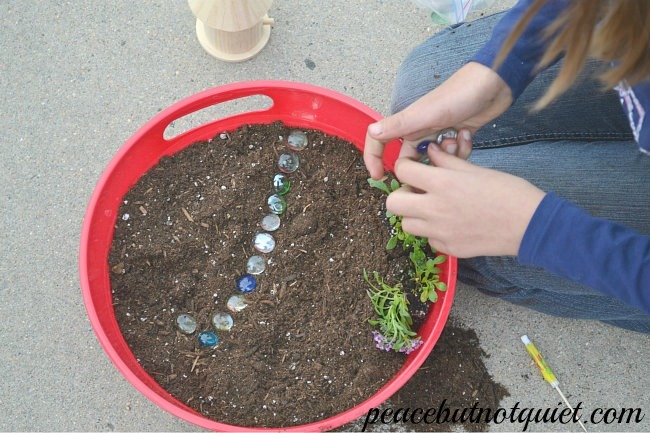 I think it would be – I could see my grandma having a great time being creative with a miniature garden!